Goldin Auctions is currently auctioning off three unique pieces of Black Sox memorabilia. 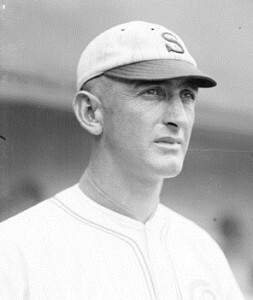 A Shoeless Joe Jackson autographed baseball is unique in itself, with only a few in existence that have been authenticated. The auction began Monday, January 12 and will end on Saturday, February 7. Time is short, so consider your opportunity to obtain a rare treasure of baseball memorabilia. 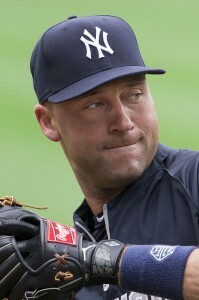 Derek Jeter played 20 seasons for the New York Yankees. To honor his retirement, Steiner Sports is having a Derek Jeter memorabilia sale. Anyone who knows anything about baseball recognizes the name Derek Jeter. He helped lead the Yankees to five World Series championships during his career. Whether you love or hate the Yankees, you have to admit that Jeter has been one of the best these past 20 years. Not only was he a great ballplayer, Derek has also proven to be a consummate professional, avoiding major controversy while playing his entire career in media-frenzied New York. When it comes to custom baseball gifts, this may be the ultimate hands-on gift. Real Play pinball baseball, perhaps the most realistic of all mechanical baseball games ever built. It’s a unique gift that will set your baseball-loving spouse, partner, friend, or coach apart from everyone else! Real Play Baseball is designed, patented, and built by Richard Quint, founder and owner of Quint Premier Baseball Games. His game was launched in 2013 at the 34th National Sports Collectors Convention in Chicago.